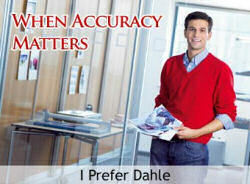 Dahle offers the highest quality Trimmers and Guillotine in the industry. When accuracy matters,professionals prefer Dahle.These German engineered trimmers feature a precision graduated, self-sharpening blade made of German Solingen steel. This blade cuts in either direction and maintains a perfectly honed edge every time it's used. Why trust your artwork with anything else? Dahle 446 Premium Trimmer, 36-1/4", Free Shipping! Rely on Dahle Rolling trimmer for straight cuts and the ability to finely shave off the smallest of edges. Order it for your graphic department today.